Jim puts on our canvas window covers and finishes closing up the boat before we leave her at the dock for a few weeks. 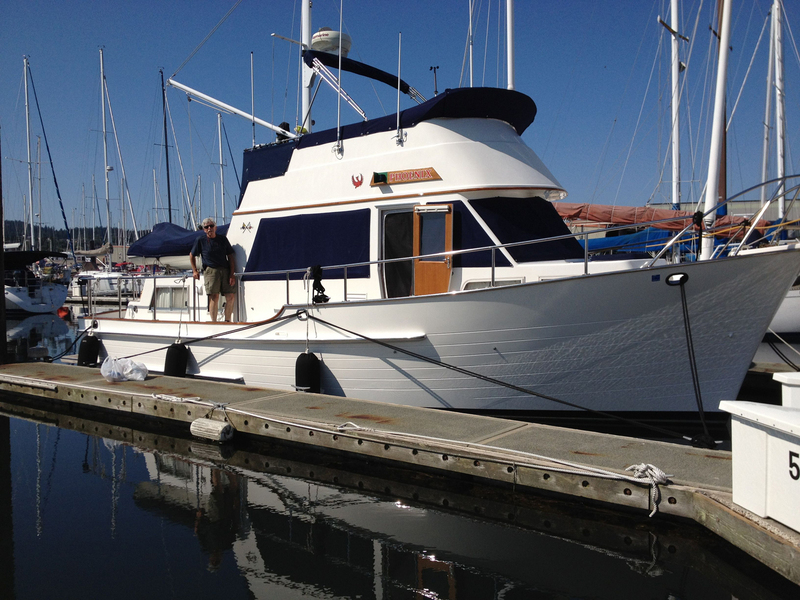 It’s the middle of summer cruising season, so why are we leaving our boat for a few weeks? That’s one of the challenges of having to split our time between boating and maintaining a house and yard! Our house is in Central Oregon, where it freezes and snows in the winters. This means that we need to take care of yard and exterior projects in the late spring/summer/early fall seasons. So, in mid-August, we headed home to get some of this year’s exterior projects done, with plans to return to our boat in early September for what we hope will be some pleasant late summer cruising. 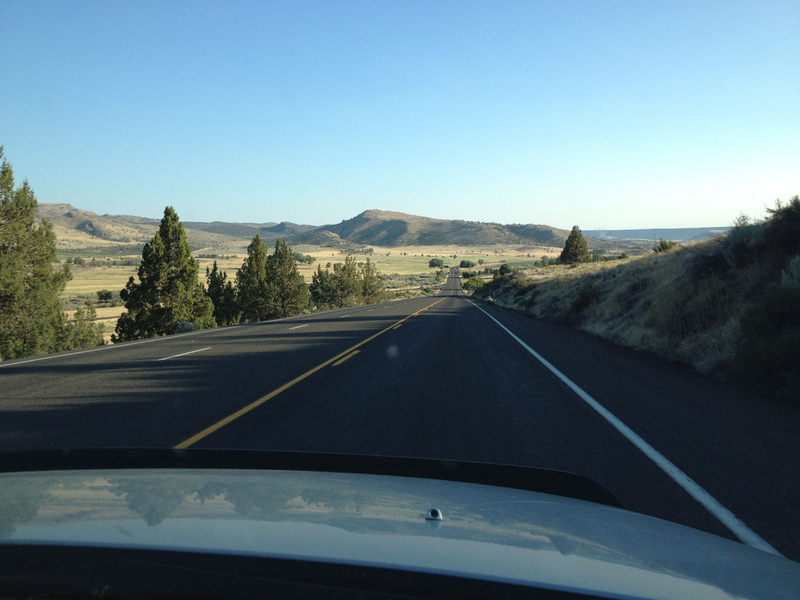 We had a great weather day for our 450-mile drive! Leaving Anacortes on State Route 20, we had a great view of the Swinomish Channel looking south. 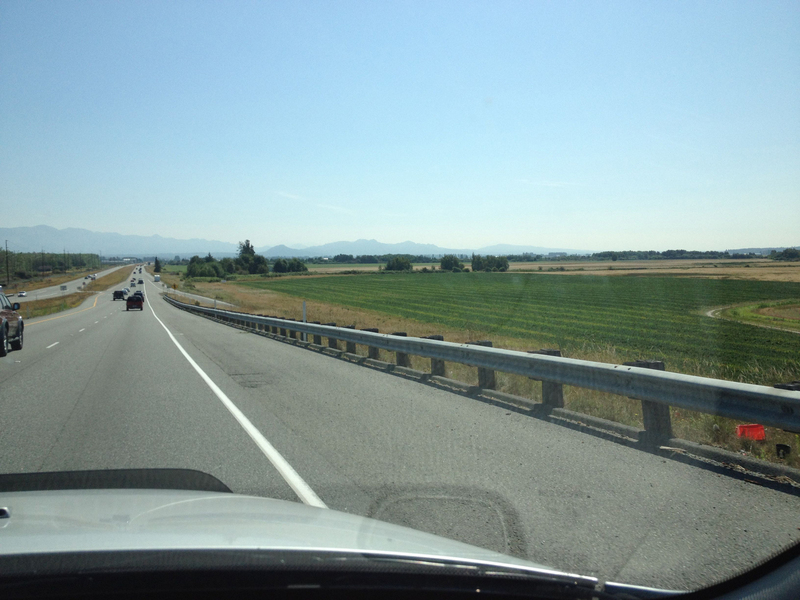 After crossing over the Swinomish Channel on SR 20, the Skagit Valley tidal flats came into view. Such a clear day, we could see the Cascade mountains in the distance. 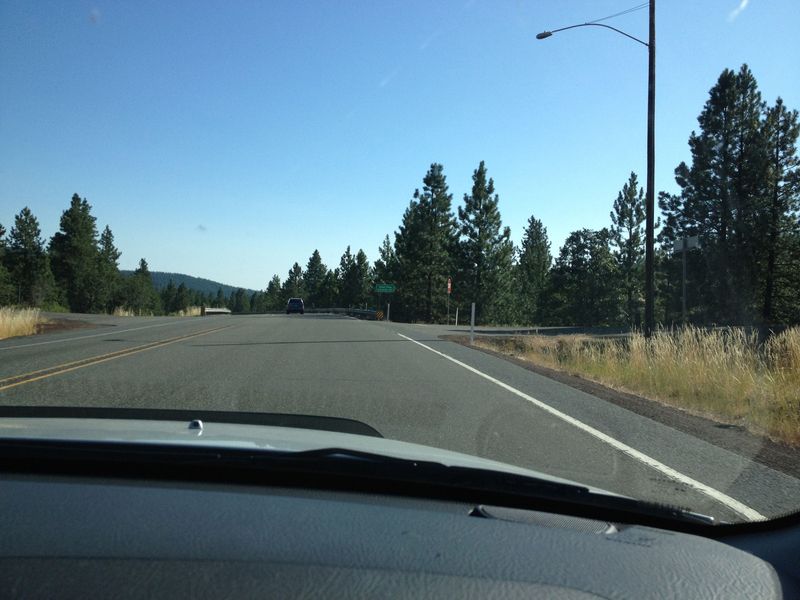 We prefer driving south to Central Oregon by heading east over Snoqualmie Pass, then south on Highway 97 through Yakima. 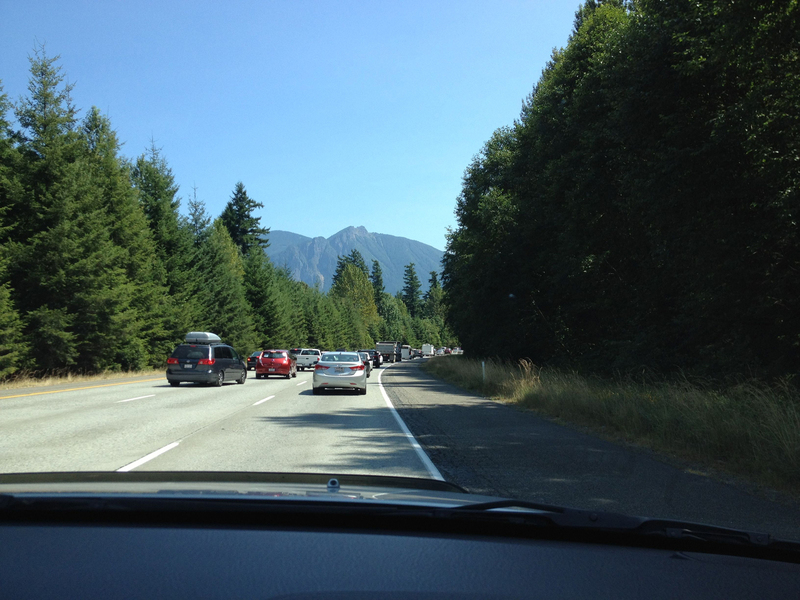 This day we encountered a large traffic backup near North Bend. As we got closer, we found the backup was caused by a huge number of cars waiting to turn off at the exit to the North Bend Premium Outlet stores…must have been a great sale on this weekend! Mt. Si is in the background. 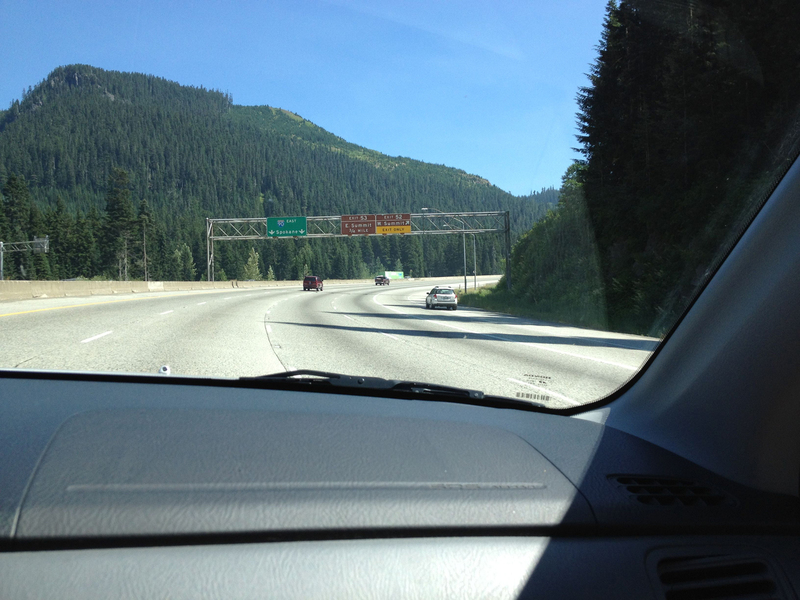 Approaching Snoqualmie Pass traveling east on Interstate 90. 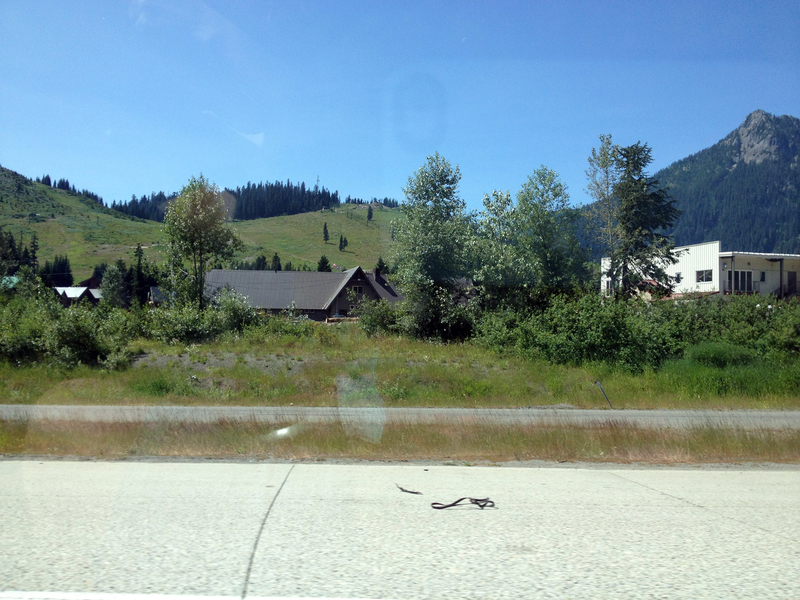 The ski area at Snoqualmie Pass looks a lot different without snow! Just east of Snoqualmie Pass, there are a series of reservoirs that provide irrigation water for south central Washington. 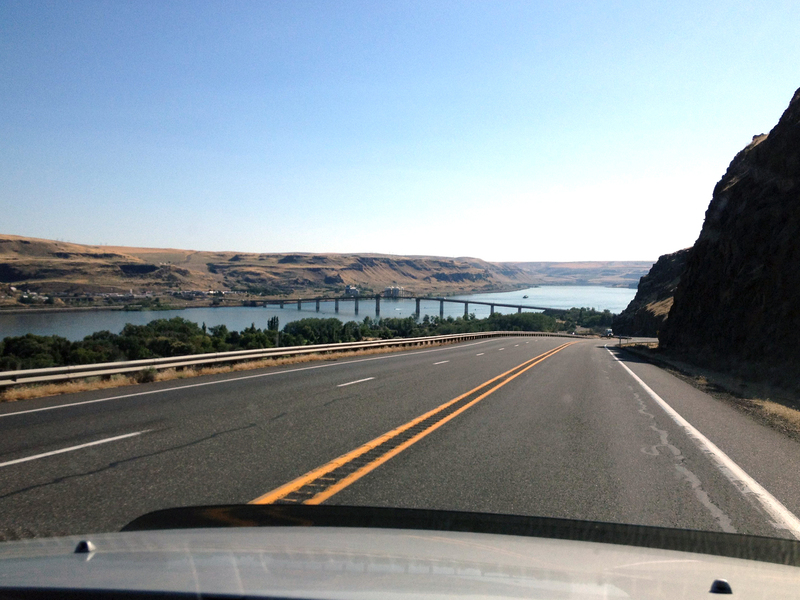 This year there is a large highway project underway to improve I-90 near the reservoirs. 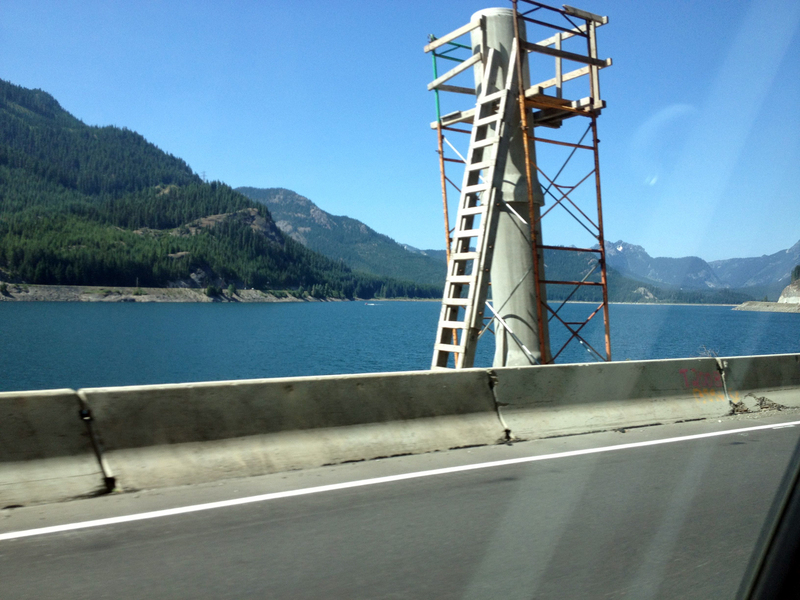 We drove through a lot of the construction as we passed the Kachess Lake reservoir. 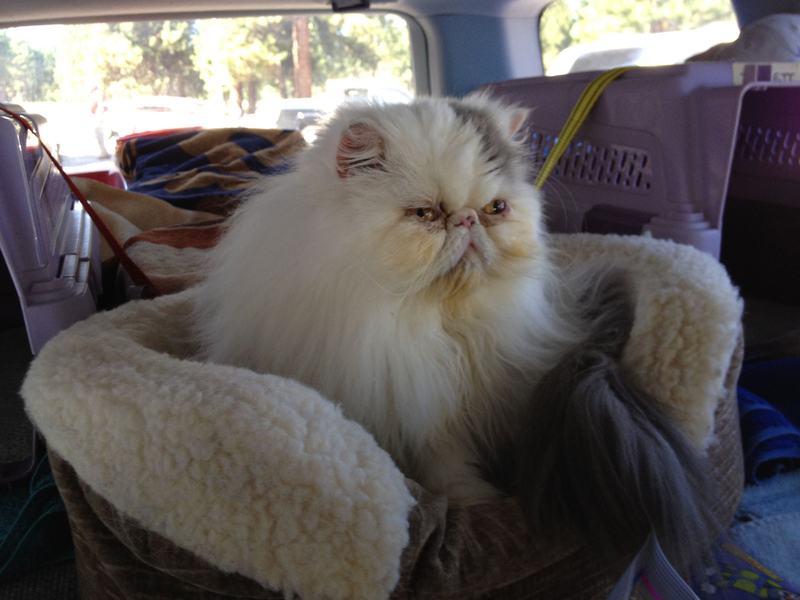 Mickey sits up in the kitty cup to look around when we stopped at the rest stop near Cle Elum. 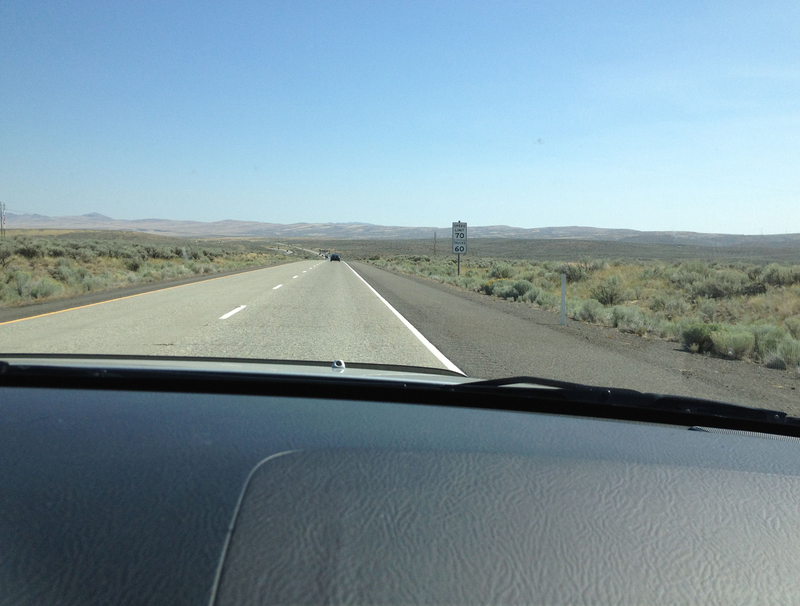 Driving east on Interstate 90, the landscape as we pass through the U. S. Army Yakima Firing Range is pretty boring! Rosie looks around during our stop for gas in Toppenish. 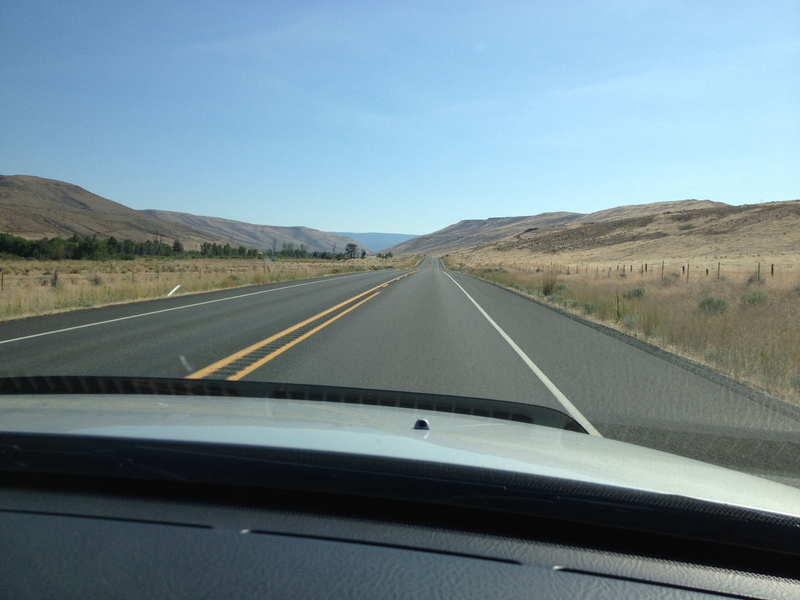 US-97 through the Yakima Indian Reservation is another boring stretch of the drive. We encounter a little more vegetation near the top of Satus Pass as we continue south on US-97. 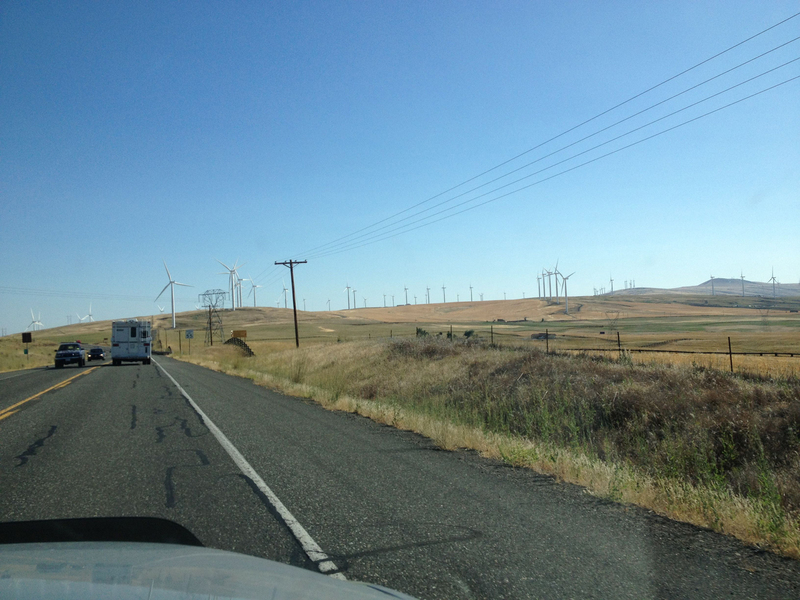 As we pass Goldendale, we start to see wind turbines, which now cover much of the area to take advantage of strong winds in the Columbia River Gorge. 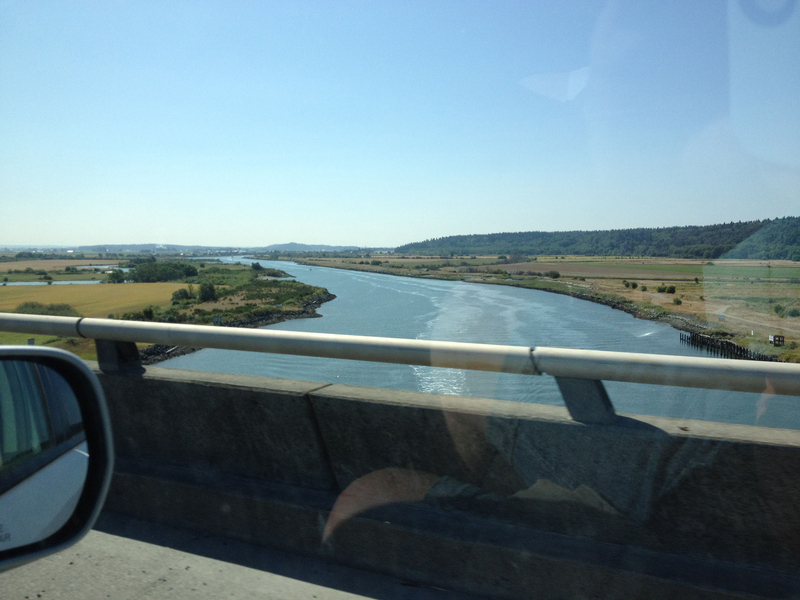 A nice view of the eastern end of the Columbia River Gorge, as we leave Washington and enter Oregon. Biggs Junction is just ahead across the river at the Oregon end of the bridge. Late afternoon shadows start to develop as we travel southwest on US-97 approaching Madras. 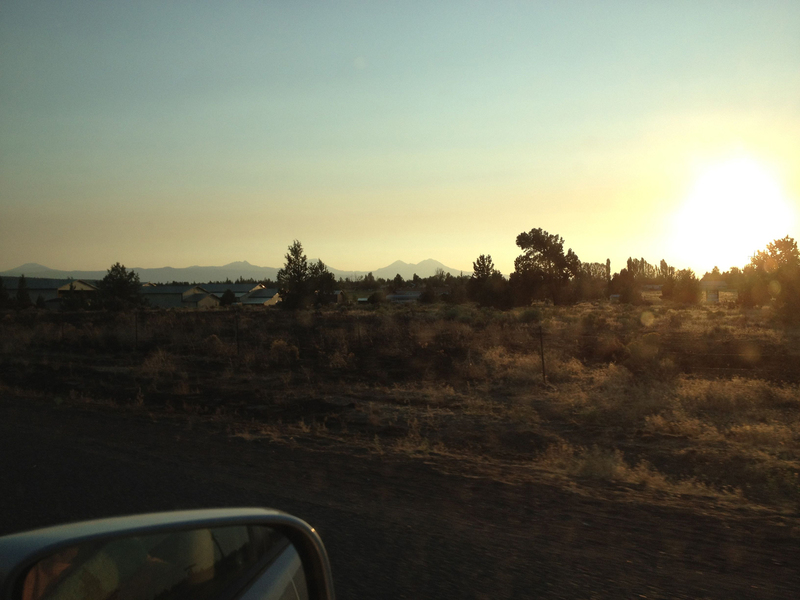 We enjoy a colorful high desert sunset looking west from Bend, as we arrive back in Central Oregon. 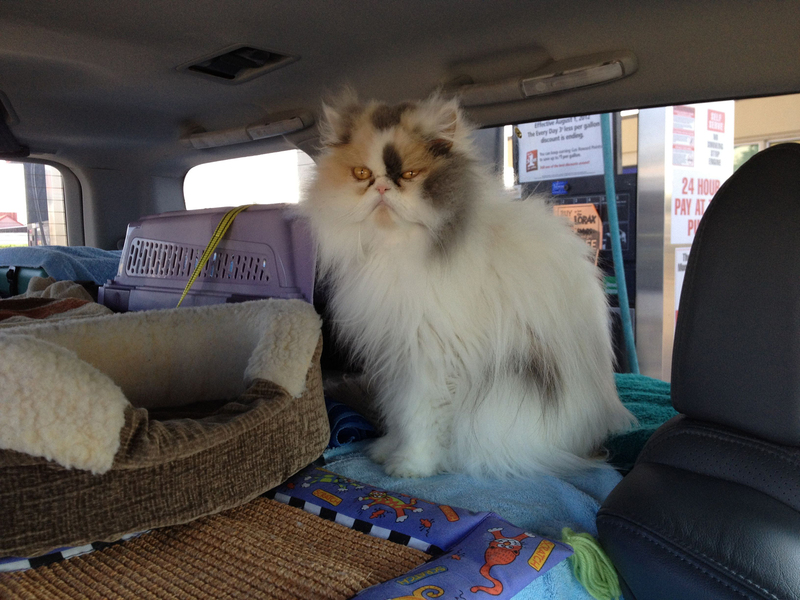 This entry was posted in Kitties, Travel and tagged central oregon, cle elum, columbia river gorge, goldendale, satus pass, snoqualmie pass, swinomish channel, toppenish, travel, wind turbines, yakima by Sailor Lady. Bookmark the permalink.